The Kilpatrick Audio KMIDI MIDI Interface is a MIDI breakout for the K4815 & K2579 modules and allows firmware updates and external control, with a width of 6HP. The KMIDI is a simpler and low-cost solution for connecting this two modules with MIDI functionality. You can update your module firmware using the free firmware updates and delve into a new world of control possibilities. 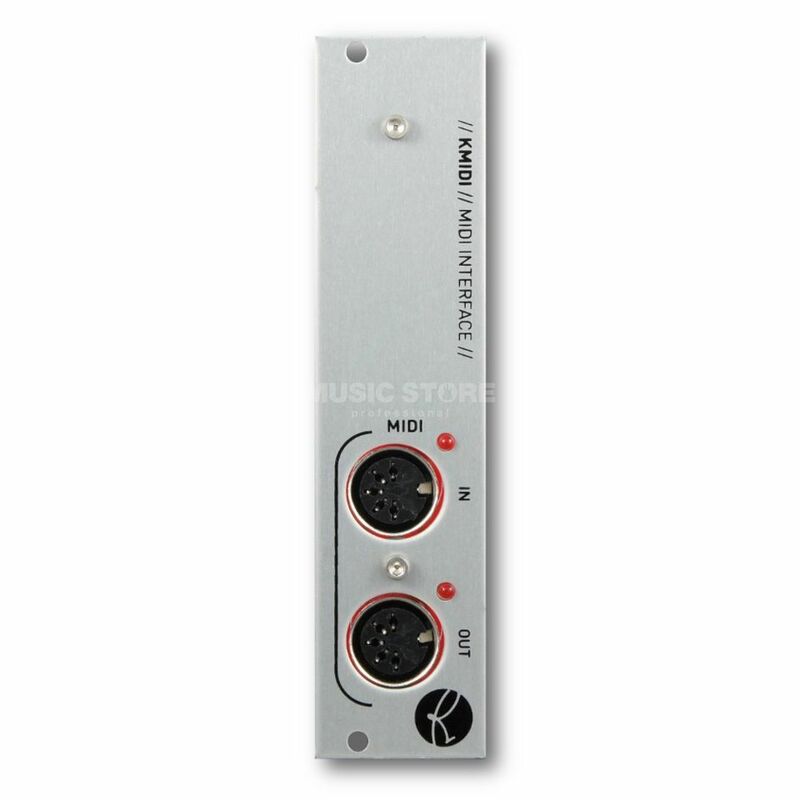 The KMIDI interface is small with a width of only 6HP, and draws its power directly from the host module.